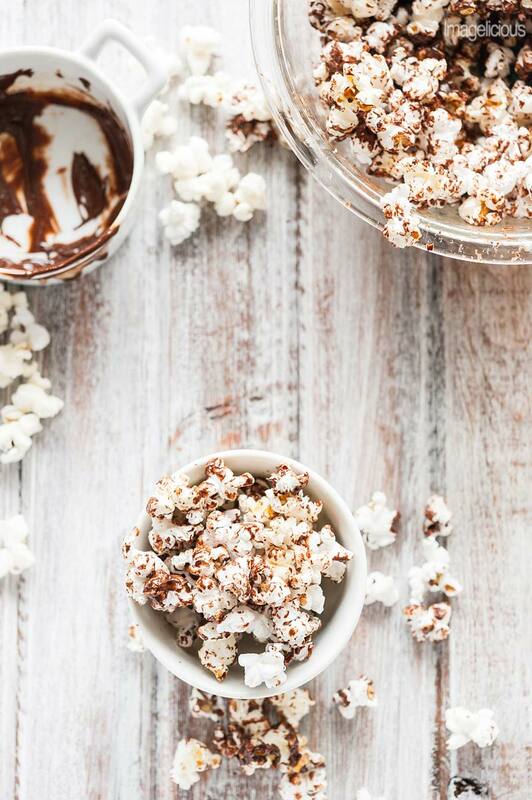 Spicy Chocolate Popcorn is light, airy, and crunchy. Drizzled with sweet melted chocolate with a spicy kick from cayenne pepper and a sprinkling of sea salt. Addicting snack! I originally posted this recipe almost two years ago when I was addicted to Joanne Fluke‘s baking murder mysteries and baked Peanut Butter Molasses Cookies based on a recipe from her book. I finished with the whole series and now I am eagerly waiting for the next instalment if the adventures of the main character. Back when I originally posted the recipe for Spicy Chocolate Popcorn I was browsing internet and I stumbled upon Joanne’s Facebook page where there was a post about a TV movie created based on this series. I love watching movies based on books. I have to say, that at least half of the time movies are less interesting and quite disappointing than the books, but I keep watching and hoping for something good. After a quick search it turned out that this TV movie is easily available on YouTube and I decided that there’s no better time to watch it than right now. I started by looking at a few trailers and then I realized that I must (must!!!!) have some kind of sweet snack while watching this movie. I mean, the main character is a baker, she brings cookies everywhere she goes, the trailer showed her baking delicious desserts. Not having a snack while watching this would be like going to a buffet restaurant hungry and not eating there. I know, it would be more fitting to have made something from Joanne’s recipes, but I did not feel like making cookies. I needed something sweet, quick and long lasting and I knew just the thing! 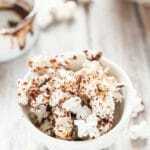 I made this a few months ago for a Chocolate Dinner I hosted and it was spectacular – Spicy Chocolate Popcorn! 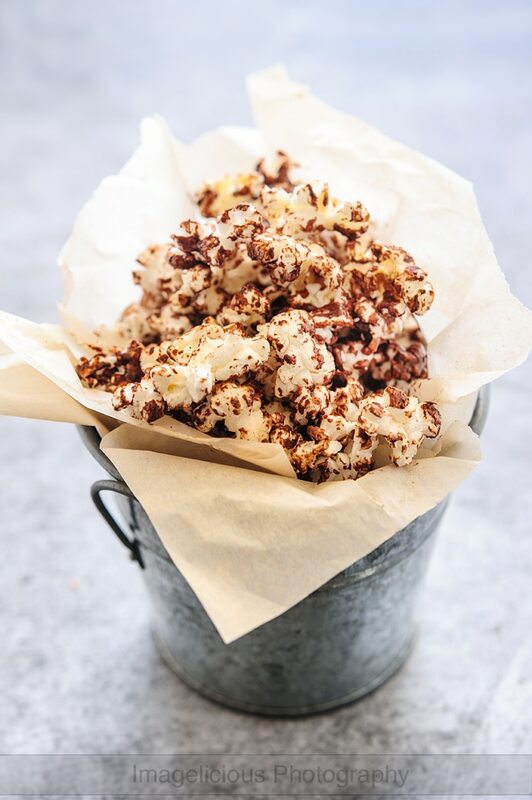 Light and airy, crunchy popcorn, drizzled with sweet melted chocolate with a spicy kick from cayenne pepper and a sprinkling of sea salt. How satisfying is that? Well, very satisfying (for those people who love sweet and salty together, of course)! Add cayenne pepper, sea salt, melted coconut oil and mix. 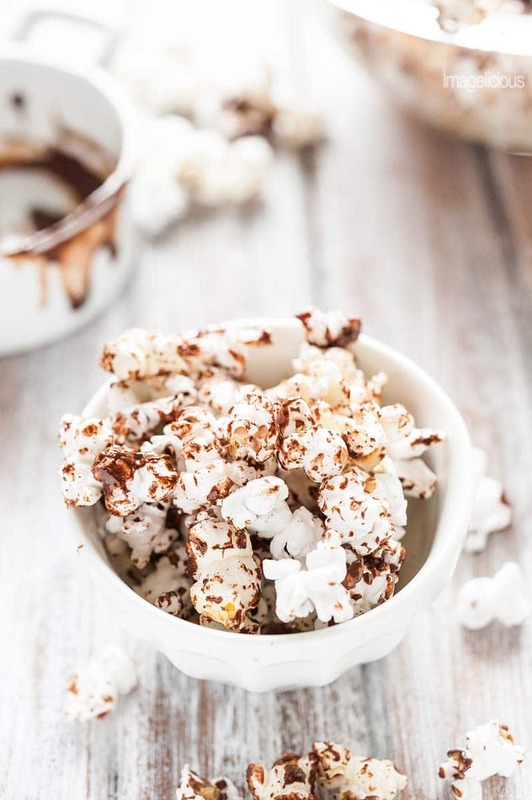 Drizzle popcorn with the spicy chocolate mixture and mix. Use less cayenne pepper if you don't like very spicy. I would SO love to try this, I could easily have this as my chocolate treat. Try it! It’s really good, satisfying and is relatively healthy if you don’t eat a lot, since it’s not using a lot of chocolate. Looks delicious, I really like the recipe, but most of all I want to congratulate you for your beautiful pictures. I am a mystery addict – books and british mystery shows (which netflix has in abundance!). 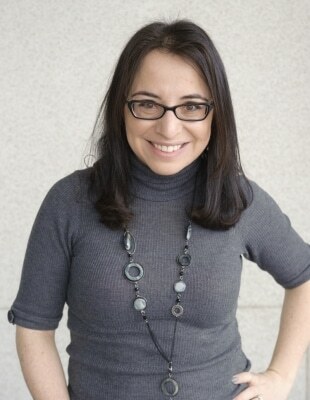 I haven’t tried the Joanne Fluke books – they sound like a fun read for the summer! 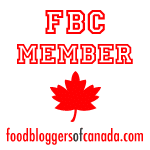 I’m also a popcorn addict which is what made me click on this link! Friday night is my popcorn and murder mystery tv night (I’m such a wild one). This sounds delicious – I love spicy, salty, sweet combos! Melissa – you described my ideal Friday night (I’m also, obviously, living wild life… haha). I love Joanne’s books and I also love murder mystery series by Diane Mott Davidson, it’s written from the point of view of a caterer and the books are delicious!! So fun! I’ve JUST discovered Joanne Fluke’s books and have been reading them one after another (I’m currently on the 4th book, so have a long way to go!). 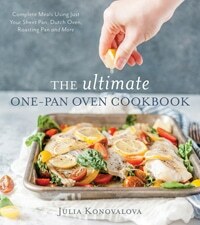 I can’t wait to try baking some of those cookies that she mentions in her books! I love popcorn, especially flavoured ones, so this looks perfect for a TV snack! I have tried about 3-4 of her recipes and saved a few more to try. I do changes some of them as I find that they are too sweet, but generally I really like them. I am almost done with the series, I have only four books left! And I hope there’s another TV movie based on her books too.